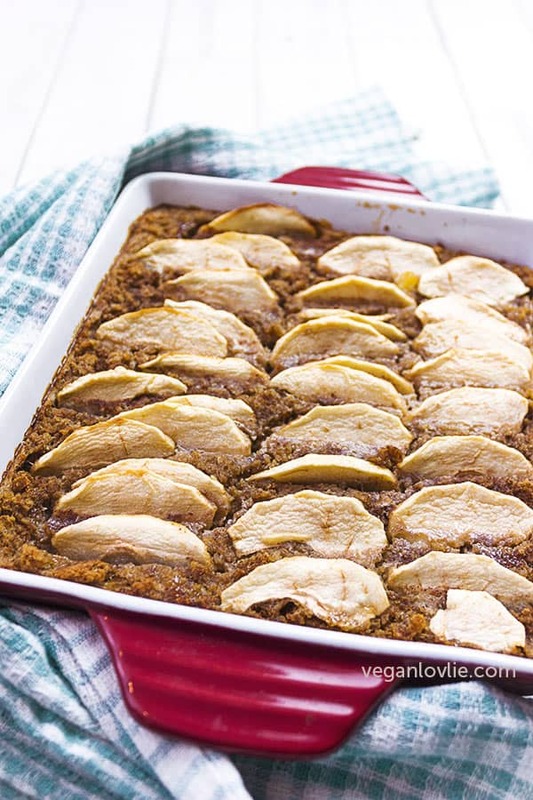 A lush and homey spiced bread pudding recipe that is naturally sweetened with banana and topped with apples. 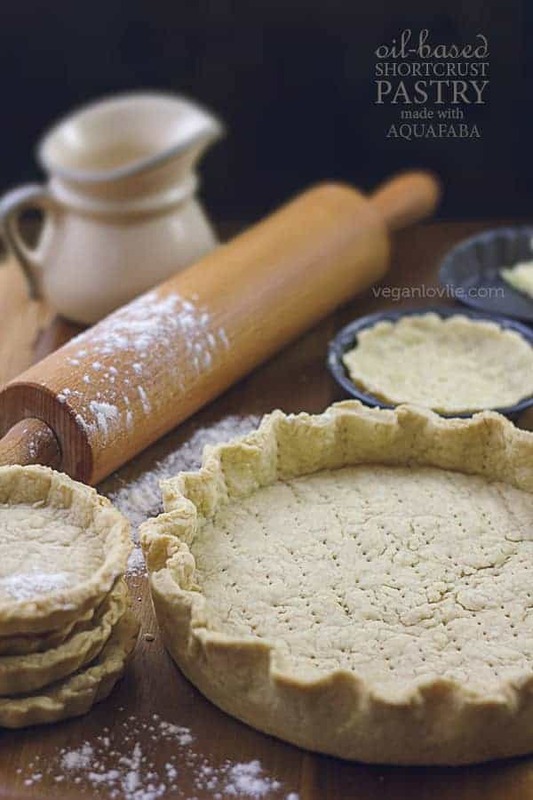 This makes a nice vegan breakfast or a simple dessert with a drizzle of maple syrup for some extra sweetness. 2018 has been rather slow-paced for us so far. By nature, winter is the season of slumber where we can take the opportunity to retreat and check in with ourselves. So, I tend to embrace rest and recuperation. We naturally feel like snuggling with warm drinks and rest more than we do during other seasons. Last week, I had half a loaf of stale homemade sourdough spelt bread sitting on the kitchen counter. Naturally, bread pudding was its unavoidable fate to rekindle the life back in this 2-day old dry sad loaf, lest leaving it to mould to create a universe out of it! After I had made my delish-looking and homey pudding, I was about to just dig in (with a nice cup of tea) when I remembered that I should probably take a picture … for Instagram. When I shared the picture, some of you wanted the recipe. I had not shot a video for it as this was pretty much unplanned. 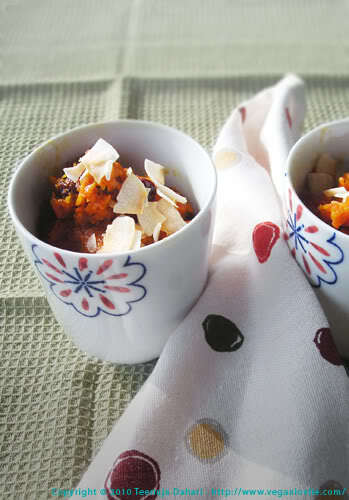 But while we’re talking about bread pudding, have you tried a savoury version? We shot a video a while ago for this scrummy savoury bread pudding with mushrooms, spinach, herbs and tomatoes. Check it out below (or see the written recipe). Calling for the simplest staple ingredients, bread pudding makes a lush dessert . Most of the time though, I am savouring it for breakfast – let’s just say it’s like dessert for breakfast. 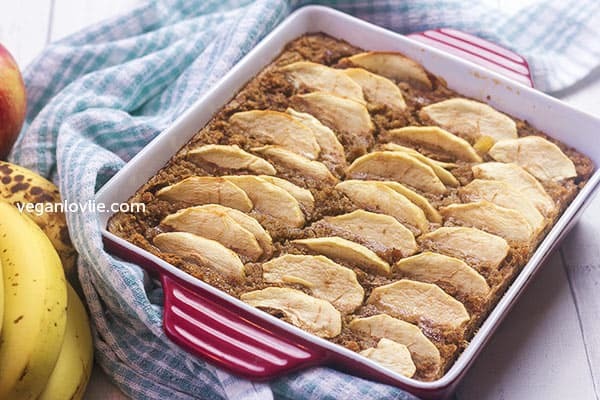 Bread pudding is really one of the easiest dishes to make. The bread soaks up flavours nicely which also makes it very versatile with the toppings and spices that you can use. Once you understand the proportions with a few tips in mind, you don’t really need a recipe. But here’s the recipe along with a few notes to get you started. 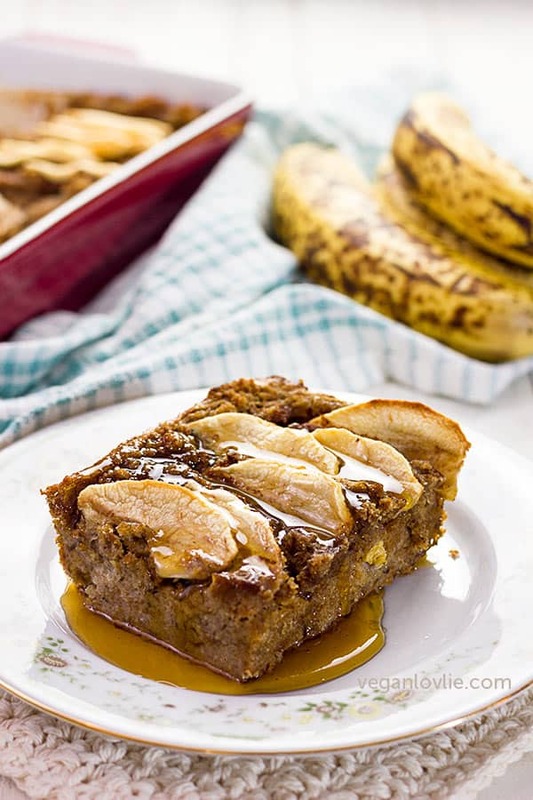 This recipe has just the right amount of sweetness from the banana and apple as natural sweeteners. 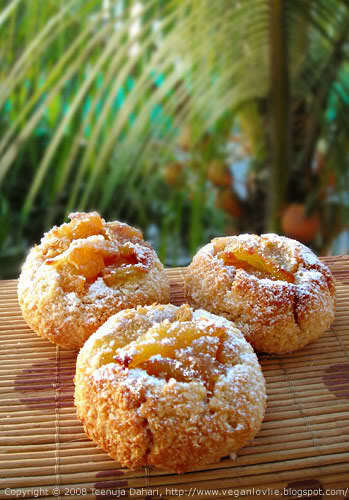 If you are planning to serve this for dessert, a little drizzle of maple syrup will add a touch of additional sweetness. *If you need to use more milk: for every additional cup, add ½ tablespoon cornstarch. **The weight of a slice of bread varies between the type of bread and how stale it is. I used homemade sourdough spelt flour bread but any type of bread will work in this recipe. I haven’t tested this recipe with gluten-free bread though; I am guessing it should work too. This recipe is really quite forgiving. Basically, just use enough milk to soak the bread completely. Then adjust the cornstarch accordingly (as per the 1st note). Cut the bread (or roughly break it) into small pieces. Place in a large bowl. Pour the milk to cover all the bread. Use more milk if needed to just cover the bread. Let the bread soak until it has absorbed most of the milk, about 30 – 60 minutes or overnight. Preheat oven to 180° Celsius (350°F). Mix the cornstarch with 2 tablespoons of milk (or water), the mashed banana, vanilla extract and the softened margarine. The margarine will not completely mix well in there and that’s okay. Just whisk it into the mixture. Add this banana mixture to the soaked bread and mix to incorporate well. Add the raisins (if using). Place this bread mixture in a greased 23-cm [9-inch] square dish. Arrange the apple slices on top by tucking them a little inside the bread. Brush with the milk+maple syrup mixture (for the glazing). 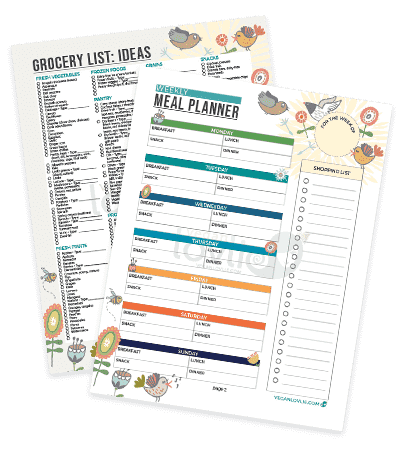 Leftovers can be refrigerated for up to 2 days. To heat, just drizzle with a little milk and heat in the oven for about 10 minutes or until warm. Serve with maple syrup or other syrup if desired. 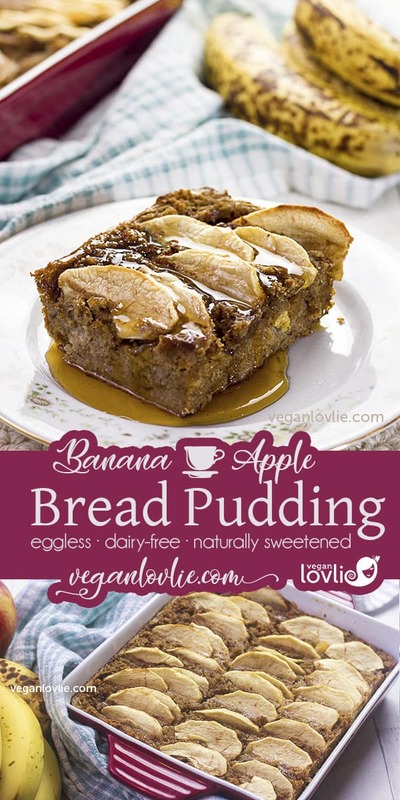 A lush and homey spiced bread pudding naturally sweetened with banana and topped with apples. This pudding is equally great for dessert as it is for breakfast. Let the bread soak until it has absorbed most of the milk, about 30 - 60 minutes or overnight.